3 Every man and every woman is a star. 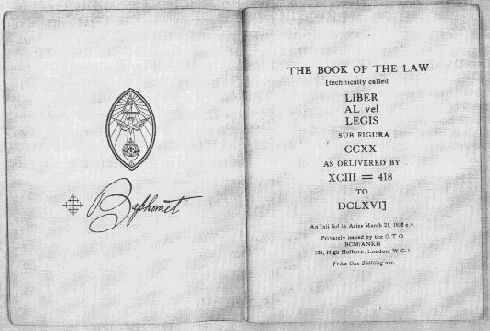 Do what thou wilt shall be the whole of the Law.The study of this Book is forbidden. It is wise to destroy this copy after the first reading. All Aleister Crowley material is Copyright © Ordo Templi Orientis. This is site is not an official O.T.O. website, and is neither sponsored by nor controlled by Ordo Templi Orientis.